The choreography of daily life dictates how bodies are exposed to toxic chemicals. Since the 1950s, everyday consumer products from furniture, to electronics and cleaning products have become imbued with new classes of toxic chemicals. The unprecedented intimacy between industrial chemicals and human bodies in the domestic realm has been linked to the rise in a range of health conditions, including obesity, diabetes, reproductive abnormalities, some cancers, and neurodevelopmental issues (Gore et al. 2015). As awareness of the association between particular classes of chemicals and disease has become more explicit, strategies to remove them from many consumer products have been proposed. However, political and commercial willingness to change is not the only barrier to eradicating harmful chemicals from everyday products. Industrial chemicals have come to provide many of the foundational product qualities that consumers demand. Ethnographic research I conducted into the cleaning and personal care practices of parents with young children – primarily working mothers – in Sydney Australia has highlighted the co-constitution of everyday domestic routines, and the networks of chemically imbued products that enable them. This research draws attention to the ways the addition of industrial chemicals in personal care products has altered how cleanliness, beauty and even relaxation are defined, measured and performed in subtle but foundational ways. The co-evolution of products alongside routines has made certain toxicants essential to the standardised performance of many daily tasks. A number of the parents I spoke with reported trying alternative, less toxic products or cleaning methods, only to return to chemical-based products after finding the alternatives did not perform as expected. 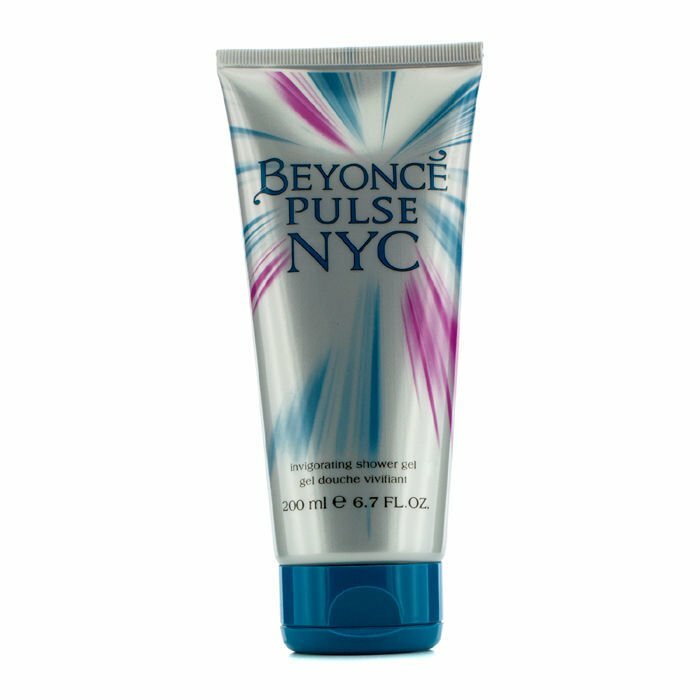 In this essay, I use the example of shower gel to illustrate how certain products can alter the rhythm and flow of daily life, and make entire networks of co-dependant products either essential or redundant. To show how chemicals have become indispensable to the daily routine of bathing, I examine five attributes of shower gel reported by my informants: fluidity, lather, scent, anti-microbial action and multi-functionality. The promise of non-toxic products is often premised on the removal or substitution of an offending chemical. This is possible for product categories where the chemical is not central to how the product functions. For example, removing flame-retardants from a sofa or children’s pyjamas would not change how these objects work and are used. However, for many product categories, classes of toxic chemicals cannot be removed without fundamentally altering how the products function. Consequently, many industries face an ongoing issue of ‘regrettable substitution’; a situation in which one chemical is replaced with another that is functionally similar, but under-researched, only to be later revealed as toxic (Zota et al. 2017). 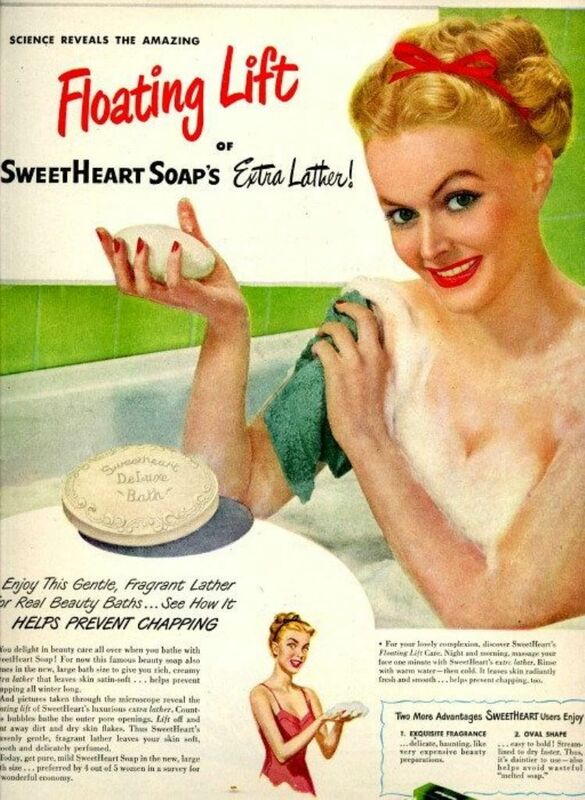 Liquid cleansers have been steadily replacing bar soaps across the United States, Europe and Australia since their introduction in the late 1980s (MINTEL 2015). The popularity of liquid over solid products is directly related to the rise of showering in the latter half of the 20th century. The ascendance of showering as the preferred form of bathing routine has entrenched the use of products like shower gel that are specifically designed to work within this new context. Liquid is easier to apply to the body than a bar and will interact easily with the flow of water from the showerhead. Shower gel is also formulated to prevent the scummy residue on the tiles and glass, or a gooey puddle on the shelf, that have seen bar soap fall out of favour. The preference for shower gels and body washes over soap was reflected in my ethnographic research. Not one of the participants I spoke to routinely used bar soap. The ease and efficiency of applying a fluid product when attempting to have a quick shower, and its lack of residue on tiles and glass compared to bar soap, were cited as key reasons. Liquid cleansers necessitate chemical additives for two key purposes: preservation and containment. The higher water content of liquid products means that preservatives must be added to prevent the growth of bacteria, yeasts and moulds. This is not generally necessary for solid soaps. The most widely used preservatives in personal care products are parabens, including methyl, n-propyl, n-butyl and ethyl parabens (Cowan-Ellsberry et al. 2009). Parabens have been identified to varying degrees as Endocrine Disrupting Chemicals (EDC), chemicals that interfere with the development and normal functioning of the endocrine (hormonal) system. Studies have also identified parabens as an immune toxicant with potential allergenic effects. Another of the most cost-effective approaches to product preservation is the use of formaldehyde donors. These are preservatives including DMDM Hydantoin, Diazolidinyl Urea and Quaternium-15 work by releasing low levels of formaldehyde, a known carcinogen to humans (IARC 2004). Some of my participants were aware that they should avoid parabens, primarily because many products are now being marked ‘Paraben Free’, suggesting that they must be harmful. However, there was virtually no awareness of the potential for harm associated with other chemical preservatives required to keep all liquid products pathogen-free. Even if shower gel companies were able to find less harmful preservatives, all liquid cleansers must be contained in chemically impregnated flexible plastic pump packs or squeezable bottles. To make plastic squeezable it must generally be embedded with plasticiser chemicals. The majority of plasticizers are phthalates, and are known or suspected EDCs (Koch and Calafat 2009; Diamanti-Kandarakis 2009). Although unlikely to affect bodies in the use phase of the product, as plastics break down their molecular bonds become weaker releasing the chemicals into the environment. Plasticizer chemicals have consequently been found in numerous wild animal populations, and re-enter the human food chain through affected fish. Since the mass-production of soap begun in the United Kingdom in the 1880s abundant foamy bubbles have become vital indicators of cleaning power. In a traditional bar of soap, foam is the natural by-product of the reaction between its water-repellent oil and water-loving alkali when it encounters water. However, body washes and shower gels are generally able to effectively clean the body without a lathering agent. Despite this redundancy, the sensory experience of suds is so intimately linked to effective cleaning that additional ingredients are often added to produce foam. The gently abrasive feeling of foam and the transformation of liquid to lather are crucial indicators of cleansing action. This requirement for lather was important for my research participants not only in shower gel, but across most cleaning product categories. As a result of this ubiquitous demand, companies add chemical bubble supplements to products from laundry and dishwashing washing liquids, to shampoo and hand-wash. One woman I spoke with even added additional bicarbonate of soda to her laundry power “because it creates more bubbles”. A number of the foaming agents most commonly used in shower gel have associated health concerns. Evidence strongly suggests the commonly used chemicals Cocamide DEA, MEA or TEA (European Commission 2013) are skin and organ-system toxicants. Foam is also often generated with detergents made from the chemical alkylphenol ethoxylate, such as Octoxynol-9, which is a known organ system toxicant and allergen (EC 2008a). Also, there is some evidence suggesting that one of the better-known foaming additives, Sodium Laureth Sulphate, can cause strong skin irritation and potentially organ toxicity (EC 2008b). There is also concern that it can be contaminated with toxic manufacturing impurities such as dioxane (ATSDR 2007). Aside from the product label, shower gel’s fragrance does most of the heavy lifting in terms of promoting product attributes. Scent is intimately connected to both our emotional responses to products and our perception of whether or not they are effective. The complex relationship between shower gel and it smell is perhaps the greatest reflection of the multifaceted role it plays in many lives. Within a daily bathing routine, product fragrance must communicate cleanliness, to demonstrate its efficacy and make the user feel as though by applying it they are being cleansed and purified. Scent has also come to play a crucial role in routinised emotional relaxation, renewal and even escape. My field studies support other research demonstrating that for many busy people, particularly parents, bathing can be the single time of day when one is alone and can be transported from the immediate demands of others (Penner 2013). Showering can physically and symbolically cleanse the body and mind of built up tension and grime. My ethnographic research has revealed this cleansing escape to be a complex and precise sensory task. Participants have indicated that pine and lemon scents are reliable indicators of hospital-grade anti-bacterial surface cleaners and are consequently sought out in floor and bathroom cleaning products. However, these same smells cease to be markers of quality when applied to body cleansing products. In this context, a pine scent is considered to be too evocative of sterile hospital floors, rather than a sensual and purifying escape. For many personal care and cleaning companies, the most intensive research and development is conducted in the fragrance department (Kessler 2015). As a key marker of the brand and product efficacy, it is costly for companies to compromise on chemicals that produce the right scents. This is concerning, as fragrances account for some of the most harmful chemicals in shower gel, and other personal care products. Little information exists on the exact range of potentially hazardous compounds emitted from fragranced products because fragrance formulas are protected as “trade secrets”. However, product fragrances, including those in shower gel, have been consistently correlated with a number of adverse health effects, including migraine headaches, dermatitis, asthma, and respiratory difficulties (Steinemann 2017). The numerous different volatile compounds emitted in fragrance include primary pollutants, such as terpenes, but also secondary pollutants, which occur when primary pollutants react with ozone to create pollutants such as formaldehyde and acetaldehyde (Nazaroff and Weschler 2004). Even products that claim to only contain natural fragrances have been found to emit pollutants. One of the reasons cited by some for the rising popularity of shower gel throughout the 1990s is mass fear of viruses like influenza, and later SARS. Around this time, research begun to suggest that viruses and bacteria may live on a bar of soap for up to four days. Conversely, liquid cleansers are contained in sealed, impenetrable packages and cannot accumulate dirt and other particles. Most shower gels also now contain added anti-microbial chemicals. Although the efficacy of anti-bacterial chemicals over soap has recently been scientifically disputed, the addition of anti-microbials to a shower gel implicitly suggests that those without it are lacking, and may not be effectively cleansing the body of potential pathogens. When I asked research participants if they sought out anti-bacterial bathing products, one responded: “Well yeah, otherwise what’s the point?”. Although not always so emphatic, the majority indicated that it was now an expected product attribute. In addition to the preservatives mentioned above, other anti-bacterial agents are often added to personal care products like shower gel, such as Triclosan and Triclocarban (Halden 2014). These chemicals have been used in consumer products for decades without comprehensive research into their effects. 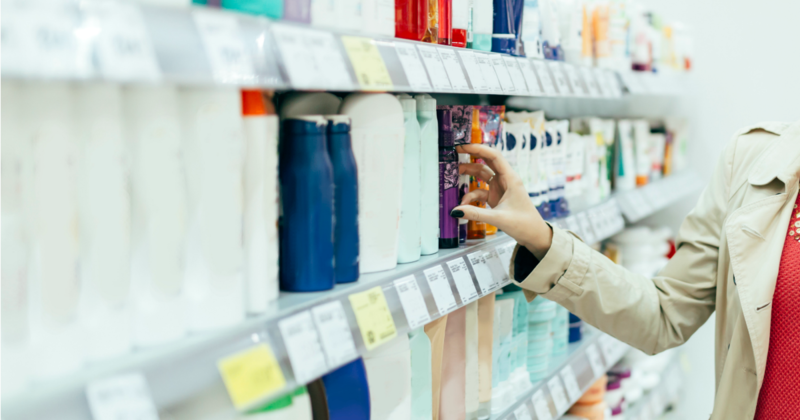 Recently, their potential endocrine disrupting effects, and persistence and bioaccumulation in the environment has led the United States Food and Drug Administration to ban them in personal care products. Increasingly, shower gels are expected to perform the tasks of other personal care products. This has been crucial for product differentiation as the market has become more saturated, but multi-functionality also holds great appeal for time-poor individuals who can only squeeze so many activities into their morning routine. Exfoliating, antiperspirant, vitamin enriching, and moisturising are just some of the claims now commonly advertised on product packaging. To achieve this multi-functionality, new chemicals must be added that enable additional qualities to prosper without compromising old ones. The chemical cocktail contained in the product to stabilise it, make it feel, smell and look appealing, offset the negative effects of the other chemicals and, of course, cleanse the body, mean that an individual can be exposed to a great number of chemicals in one five minute shower. Yet, for many, these attributes are indispensable. The majority of my research participants were aware that their personal care products contained potentially harmful chemicals. This generated feelings of guilt in some participants, and many admitted they lacked information on what they should avoid and how. However, when their routines were examined, there was a broad refusal to compromise on the most important shower product attributes (pleasant scent, ease of use in the shower, lack of residue) and measures of effectiveness (lather, fresh smelling and moisturised skin). Shower gel has co-evolved with modern bathing routines and infrastructures, and altered what is expected of them. It is designed to work with other complimentary products, such as exfoliating gloves and shaving razors, and with the design of modern bathrooms. It is a part of a network of co-dependant products designed to work in unison to make us feel cleansed, relaxed and presentable to the world. The daily dance of face cleanser, shampoo, conditioner, moisturiser, toothpaste, sunscreen and make-up, is chemically diverse and intense. It is also one of numerous daily routines, from cooking, commuting, working, cleaning and shopping that are driven by synthetic chemicals. The accumulated chemical body burdens of individuals are consequently never the result of a single chemical or product, but the aggregate of a cocktail of chemicals that help facilitate their daily lives. The focus on replacing offending chemicals in individual products in order to reduce toxic exposures neglects the co-constitution and interdependence of product networks and routines. This omission could lead to a perpetual cycle of regrettable substitution. The experiences of the Sydney-based parents in my field research illustrate how toxic chemicals are intimately entwined with the demands of everyday life. To understand how toxic exposures from consumer products can be genuinely reduced, we must first understand how their toxicants work within and enable everyday life. Cowan-Ellsberry, Christina E., and Steven H. Robison. 2009 “Refining aggregate exposure: example using parabens.” Regulatory Toxicology and Pharmacology 55.3: 321-329. Diamanti-Kandarakis, Evanthia, et al. 2009 “Endocrine-disrupting chemicals: an Endocrine Society scientific statement.” Endocrine Reviews 30.4: 293-342. Gore, A.C., Chappell, V.A., Fenton, S.E., Flaws, J.A., Nadal, A., Prins, G.S., Toppari, J. and Zoeller, R.T., 2015. “Executive summary to EDC-2: the endocrine society’s second scientific statement on endocrine-disrupting chemicals.” Endocrine Reviews 36(6): 593-602. Halden, Rolf U. 2014 “On the need and speed of regulating triclosan and triclocarban in the United States.” Environmental Science and Technology 48 (7): 3603-3611. IARC (International Agency for Research on Carcinogens). 2004. “Formaldehyde.” IARC monographs on the evaluation of carcinogenic risks to humans. World Health Organization, International Agency for Research on Cancer 88. Kessler, Rebecca. 2015 “More than cosmetic changes: taking stock of personal care product safety.” Environmental Health Perspectives 123.5: A120. Koch, Holger M., and Antonia M. Calafat. 2009. “Human body burdens of chemicals used in plastic manufacture.” Philosophical Transactions of the Royal Society of London B: Biological Sciences 364.1526: 2063-2078. MINTEL, 2015 Annual Soap & Shower Market Overview – International. Nazaroff W.W., Weschler C.J. 2004. “Cleaning products and air fresheners: exposure to primary and secondary air pollutants.” Atmospheric Environments 38: 2841–2865. Penner, B., 2013. Bathroom. London: Reaktion Books. Steinemann, Anne. 2017. “Health and societal effects from exposure to fragranced consumer products.” Preventive Medicine Reports 5: 45-47. Zota, A.R., Singla, V., Adamkiewicz, G., Mitro, S.D. and Dodson, R.E., 2017. “Reducing chemical exposures at home: opportunities for action.” Journal of Epidemiology and Community Health 71(9): 937-940. Rachael Wakefield-Rann is a PhD Candidate and Research Consultant at the Institute for Sustainable Futures, University of Technology Sydney. Her research is concerned with the effects of indoor ecologies – systems of bodies, spaces, materials, toxins, chemicals and micro-organisms – on human bodies and the environment. In particular, she is interested in the dynamic interplay between meanings, materials and bodily knowledge that constitute everyday life, and help structure the micro-ecologies of indoor spaces. This post is part of our series Toxic Bodies.